Jurassic World: Fallen Kingdom Review | Nerd Much? It’s hard not to watch Jurassic World: Fallen Kingdom and not have a smile on your face. Despite its apparent and obvious flaws, Fallen Kingdom embraces the past, while carving one of the most intriguing futures the franchise has ever gotten. Set three years after the events of Jurassic World, the planet is reeling the very public disaster at the park. With the dinosaurs trapped on the island – whose volcano has recently become active – the world is deciding whether to save to leave the animals to their fiery fate. Enter Claire Dearing (Bryce Dallas Howard) who is now running an organization focused on saving the dinosaurs. She is recruited by the ambitious Eli Mills (Rafe Spall) to save the dinosaurs before the volcano explodes. However, since the raptor Blue is extremely difficult to track she brings along Owen Grady (Chris Pratt). The duo quickly realizes that Eli’s has other plans for the dinosaurs, forcing the group to rescue these beasts before they’re sold off. If you are familiar with the franchise at all then you’ll easily see the inspiration drawn from the second Jurassic Park. This isn’t necessarily a bad thing, but Fallen Kingdom leans a little too heavy on nostalgia at times. Some characters come off as cheap copies of their Lost World counterparts and certain plot points are extremely predictable. Thankfully, the story picks up once the dinos actually leave the island. Director J.A. 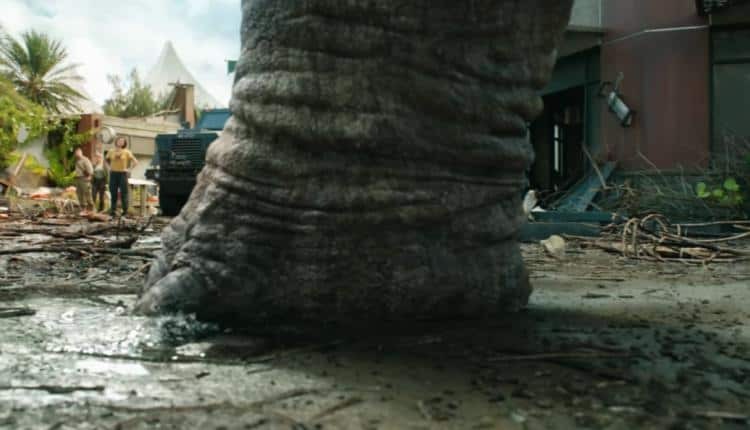 Bayona is clearly more interested in how the outside world perceives these dinos. It’s a side we rarely we see in this franchise and it’s a refreshing change of pace – even if most of the people Fallen Kingdom focuses on are high rollers. This series never really progressed beyond consistent reiterations of people getting trapped on an island full of dangerous animals. As fun as the idea is, credit to Fallen Kingdom for wanting to push the franchise in a direction that is genuinely different. It frees Fallen Kingdom up to explore compelling concepts such as their applications in a modern world, how their makeup can advance science, and what it means to grow up in a world where dinosaurs actually exist. The only issue is Fallen Kingdom only scratches the surface of these ideas and doesn’t try to commit to exploring anything in depth. There’s even a big curveball thrown during the third act that’s dropped on audiences and promptly never brought up again. However, if you are going into Fallen Kingdom solely to see a bunch of dinosaurs creating chaos for humans than you’re in luck. This title has some terrific action scenes and Bayona does a great job of actually making the dinosaurs feel scary. Jurassic Park has always made the dinosaurs feel imposing, but Boyna does a masterful job infusing various horror themes into various scenes. Having a terrifying raptor chase around a child in an old gothic mansion is certainly a standout moment. Where Jurassic World: Fallen Kingdom truly stumbles is with the characters, who are not nearly as interesting as the film wants them to be. Owen (Chris Pratt) is the biggest offender, simply because his character doesn’t really go anywhere. He starts and ends the movie as the same person with no change to him or his perception of the dinosaurs. Even his relationship with Blue is glossed over, which is an incredibly odd choice given the movie focuses so much on these two. Pratt is clearly having fun int he role, but it’s a shame he didn’t have anything to work with. Claire fairs a bit better as her transition from calculating park owner to dinosaur activist. It’s a big shift for her character and Bryce Dallas Howard does a great job with conveying the personality change. She is certainly the star of this film, which can make some of the other protagonists feel like nothing more than necessary plot devices to move the story forward. Specifically, her two assistants who lack any growth of depth beyond being the comical relief. Which is a shame given the idea of including characters who grew up in a world with dinosaurs is a compelling concept. As for the villains, Spall’s Eli is deliciously evil, but the film tries a bit too hard to make his motives feel justified. Toby Jones is obviously having a ball as the auctioneer Mr. Eversol. Henry Wu (BD Wong) returns to play Jurassic Park’s version of Dr. Frankenstein and Jeff Goldblum reprises his role as Ian Malcolm. Both characters only make a brief appearance, but they give a nice sense of consistency to the world. 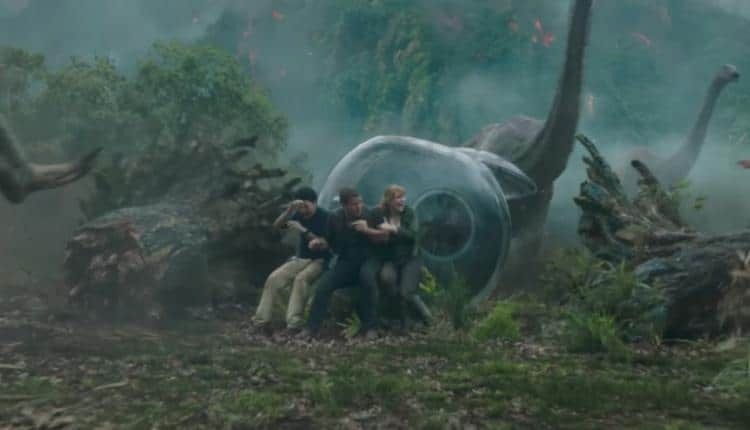 Yet, it’s the ending of Jurassic World: Fallen Kingdom that really leaves an impact. While I won’t spoil what happens, it opens up huge possibilities for the future films. Part of me wishes the movie would expand upon its finale, but there are too many questions to answer for a third act. 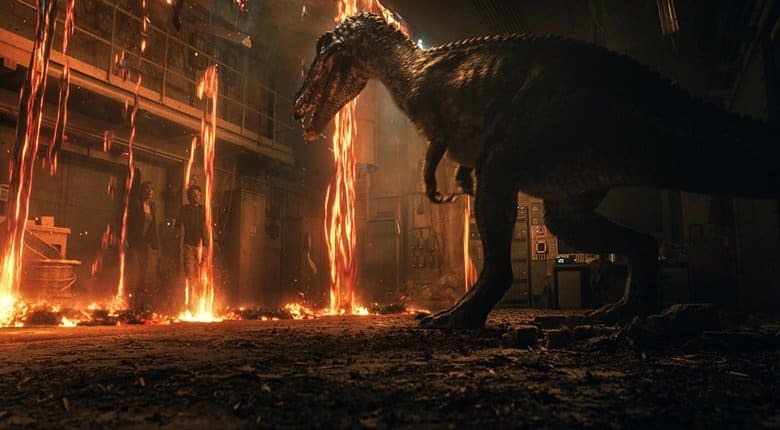 In a series that’s always played it safe with their finales, it’s great to see Fallen Kingdom move the franchise in a bold direction – even if it does feel similar to another animal-focused franchise. Fallen Kingdom isn’t a bad movie and at times it can show some genuine sparks of brilliance. Despite leaning a bit too much on nostalgia and some underwhelming characters, Fallen Kingdom is a good time. There’s a consistent balance of drama, action, horror, and comedy that blends surprisingly well together. Even though the ending is the most fascinating part of the film, you’ll have a fun time getting there.